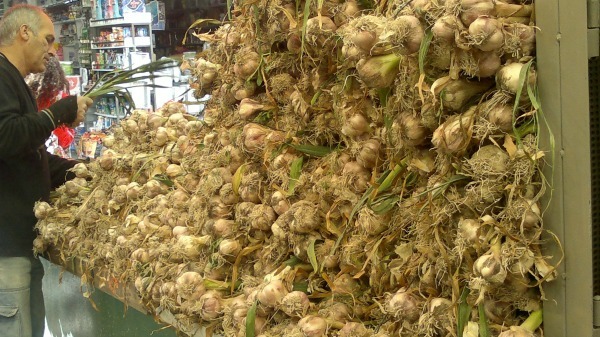 The biggest sign that Pesach is almost here–mountains of garlic all over. The entire market, in fact, smells delicious like garlic! Peanut macaroons. 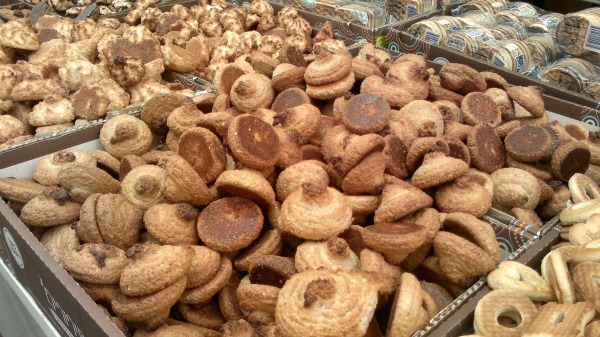 Ashkenazim can enjoy these kitniyot-based treats before Pesach. Yum! 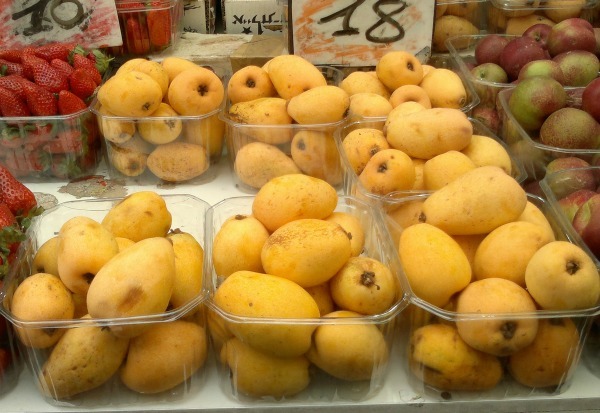 Loads of new shechechiynu fruits for seder night, like Shesek! So yum! 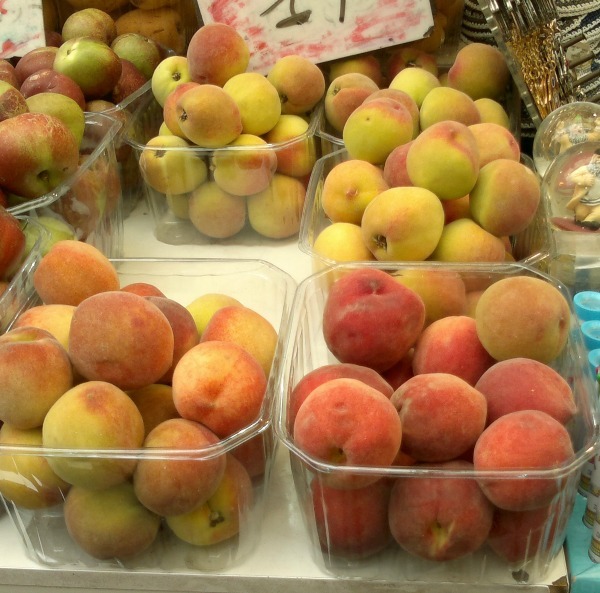 And the first peaches of the season! The excitement of that first taste of peach is always something else! 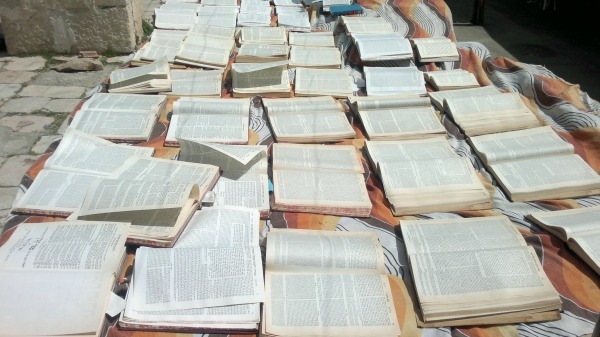 And another sure sign of Pesach spotted near the shuk…oceans of Sifrei Kodesh being aired out and cleaned of Chametz. Wow, I sooo love living here! And I sooo can’t wait for Pesach! I really LOVE this post! I think you should do one of these for every chag, it’s what makes Israel so special. 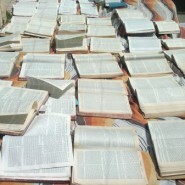 Reminds me what I’m missing in Eretz Yisroel! O… do I love to read your posts! Absolutely inspiring! Oh, we see nothing like that here at all in Seattle. I was just commenting to someone who much I love the fact that we’re finally staying home this year for Pesach. Pesach is just so different when you’re getting ready and your whole mindset is Pesach oriented. Most of my friends are leaving to go spend Pesach with their families in the more Jewish parts of the world! 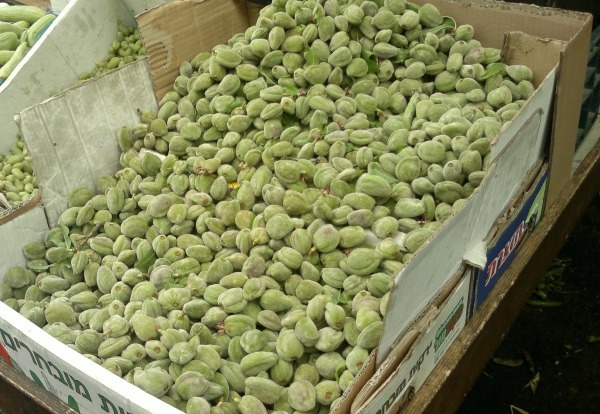 so what do people do with those unripe green almonds? I am not a huge fan either, but it is good to note that almonds have cyanide in them (no joke) and to be careful not to overdose on those green ones…I know people who have landed in hospital as a result of almond related food poisoning! Chag Pesach Kasher veSame’ach!